Wifey and I usually have our breakfast at home. This is mainly due to the fact that we are not morning persons. We go on food trips for lunch, merienda, and dinner; but not for breakfast. But FoodPanda’s offer to tour us around Maginahawa Street for a whole-day food tour was just hard to decline. Our fist stop was Katz Diner. It’s our first time here. 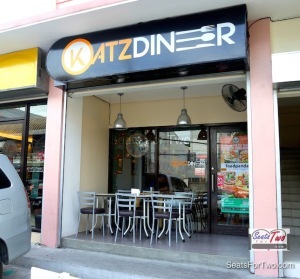 Aside from the fact that Seats For Two is virgin to Maginhawa Street’s charm, Katz Diner has just opened for a few months. 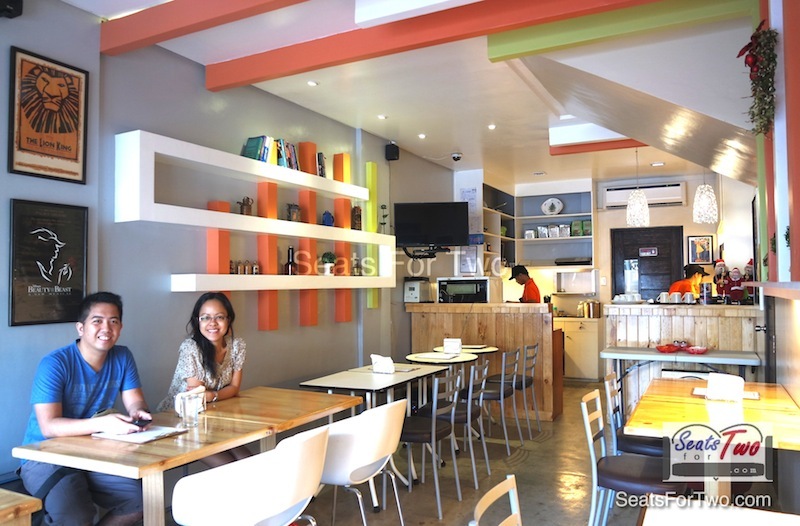 On a side note, the restaurant is actually inMalingap Street (perpendicular to Maginhawa Street) in Sikatuna Village. The restaurant’s interior is mainly in shades of grey highlighted with orange hues and accentuated by some wooden furnitures and counter top. 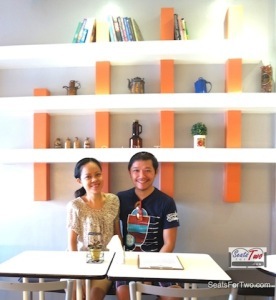 Generally, it’s quaint and looks refreshing, fitting for our breakfast opening salvo of the food tour. 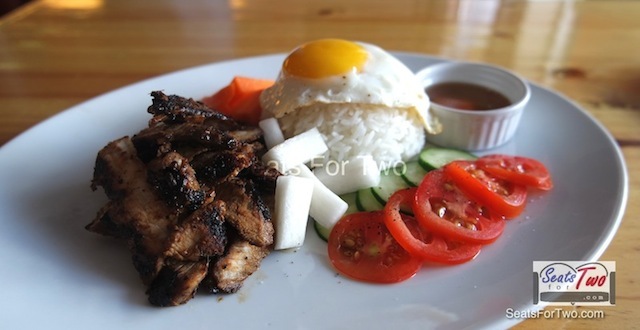 We awoke after tasting the first dish that they served – Grilled Pork Steak(P260).Char-grilled just enough, the marinated pork with dipping sauce was a tasty treat subdued by the pickled veggies on the side. 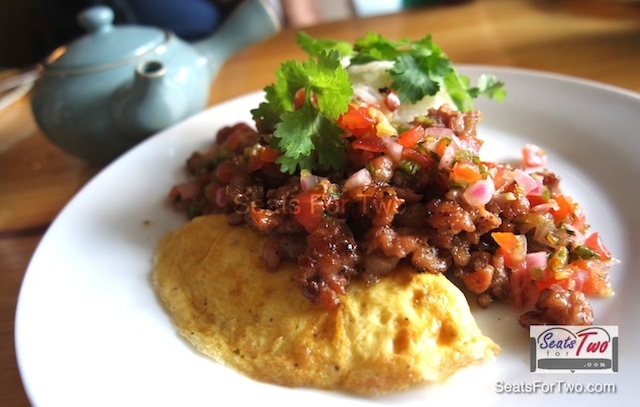 The serving of sunny-side-up egg reminded us of the Filipino’s staple breakfast side-dish. 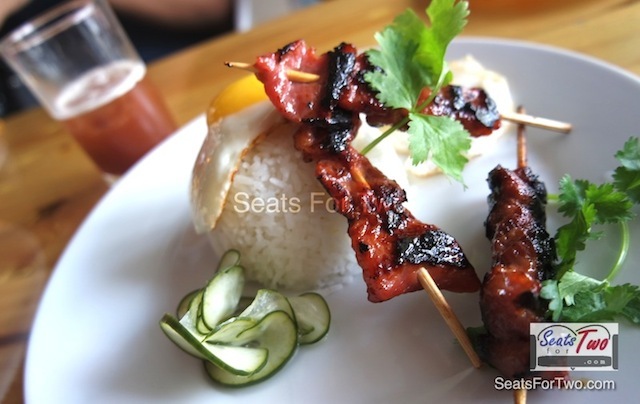 Next came up was the Grilled Pork Tocino (P180). A heavy breakfast-eater I am, I found the 3 sticks wanting, quantity wise. But I tell you, the taste made up for it. If I had no control, I would have ordered another. The 3rd dish was my favourite – the Deconstructed Longganisa at P185. Longganisa is not uncommon in Filipino breakfast flare, but what made this unique is how it was served. It was a first-time for Seat For Two to have a deconstructed longganisa dish. Longgaisa are usually served like sausages in sweet sauce but this one just upped the notch a level higher. 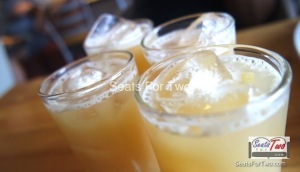 It earned a must-order recommendation from Seats For Two. 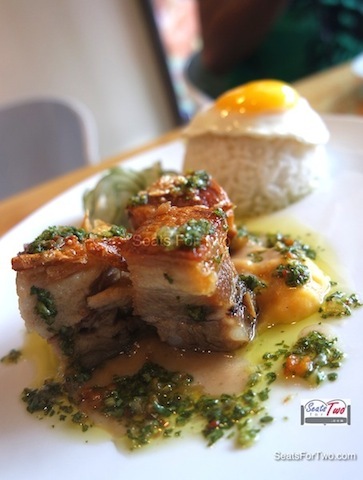 And just when we thought out taste-buds hit its peak, the Roast Pork Belly (P290) came out.Served with mashed potato, gravy, and chimichumi sauce on the side, it is as good as it looks. 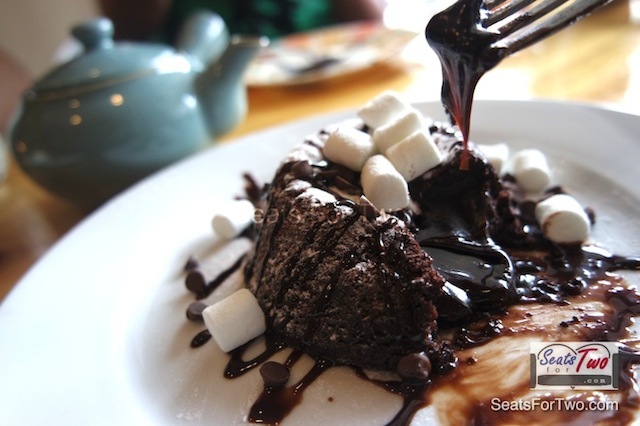 Finally, our heavy breakfast / brunch was punctuated with Katz Diner’s signature Lava Cake (P100). A sweet treat for the dessert-lover. 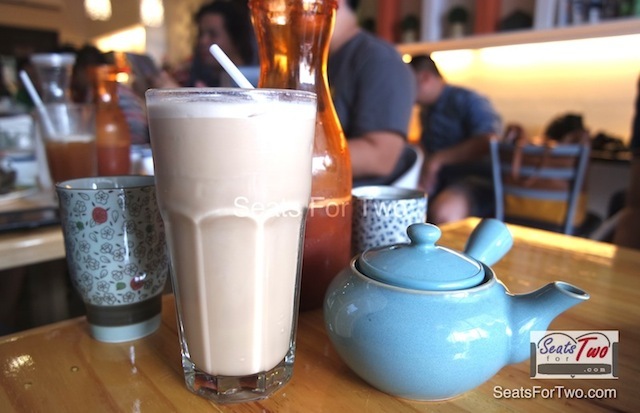 Try their line-up of beverages as well including milk teas! Katz Diner certainly earned its spot in Seats For Two’s all-day breakfast places to visit. As per consistency along the way, we’ll yet have to see in our next visits and hopefully it does not disappoint.